Old boy Interested in being boss. 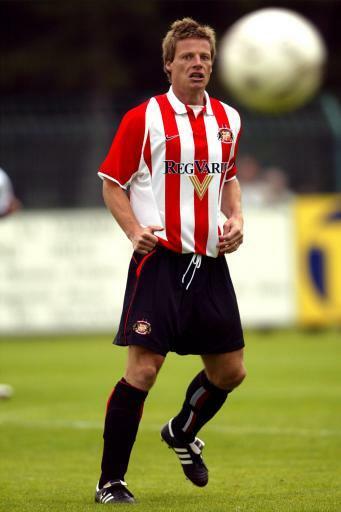 Swedish Sunderland fan favourite Stefan Schwarz has been reported to be interested in the current Black Cats manager role. Schwarz who hasn’t lost touch with Wearside having been at the Stadium of Light for the final two home games of the season. The highly experienced player has had little managerial experience, having a stint at Helsingborg as assistant Manager and has been a coach for Sweden’s international under 21’s. “I have played for some very big clubs in Europe and won a lot of trophies, but my time at Sunderland is right up there with any of those. “I think I understand the mentality of the Sunderland fans, and the culture of the area. “Sunderland teams have to have an identity, and the players need to know their duties and responsibilities to each other. “I also know how to work with players from many different cultures, which is important in the modern game.